Mary Walton, author of A Woman’s Crusade: Alice Paul and the Battle for the Ballot, will speak at Swarthmore Friends Meeting, this Sunday, February 23, at 11:45 in Whittier Room. Alice Paul was a leader of the women’s suffrage movement during 1913-1920, and a New Jersey Quaker in a lineage of women Quaker activists. She was also a pioneer of nonviolent resistance. She is compared to Gandhi and Martin Luther King, in terms of her vision for and leadership of the women’s suffrage movement. Through nonviolent direct action, she and her followers spurred a recalcitrant Congress and President to approve the Nineteenth Amendment to the Constitution, giving women the right to vote. Join us as we learn more about the struggles and sufferings of those involved in this movement from Mary Walton this Sunday. Mary Walton is author of four books, a former reporter for the Philadelphia Inquirer, and a community organizer. The determined grassroots efforts of individuals who drove the struggle for Civil Rights during the 1960s will be explored at the 2014 Marion Thompson Wright Lecture Series, Tending the Light: Community Organizing and the Modern Civil Rights Movement, Saturday, Feb. 15, 2014, at the Paul Robeson Campus Center, 350 Dr. Martin Luther King Jr. Blvd., on Rutgers University’s Newark Campus, from 9:30 a.m. to 3 p.m. The Series’ 34th installment will commemorate the 50th anniversary of Mississippi Freedom Summer and the Civil Rights Act of 1964 by illuminating the history of community organizing in the black freedom struggle, the immense amount of work such struggle entails, and the heroic individuals who take it on. The daylong conference features four distinguished speakers: Bob Moses, civil rights movement veteran and president and founder of The Algebra Project; Diane Nash, civil rights movement veteran; Charles Payne, the Frank P. Hixon Distinguished Service Professor, University of Chicago; and Barbara Ransby, Professor of History and African-American Studies, University of Illinois at Chicago. MTW speakers will reflect on the history of community organizing, from the perspective of their personal experience and of their scholarship on the topic, as well as the legacy and lessons of such grassroots work for contemporary politics. 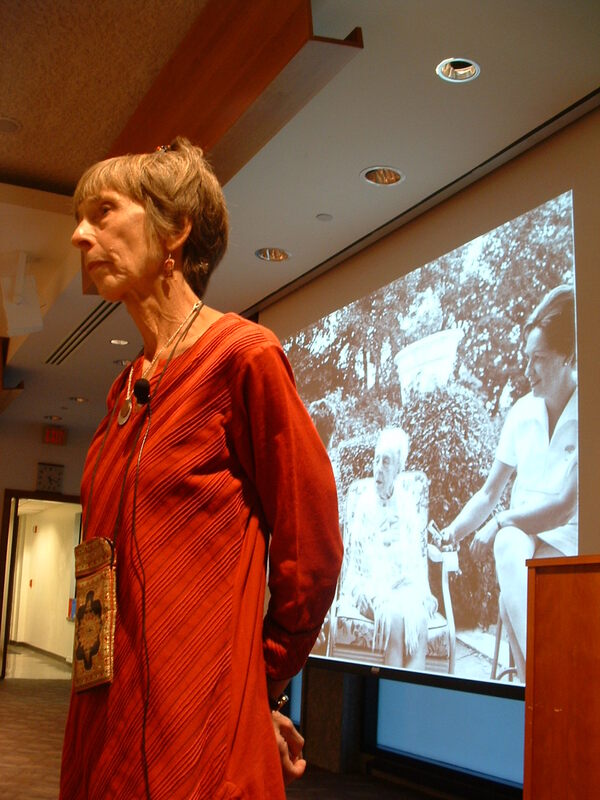 Marion Thompson Wright, the person behind the lecture series, was the first professionally trained female historian in the U.S. Immediately following the MTW conference, the audience is invited to attend a free reception at the Newark Museum, 49 Washington St., which also features live musical entertainment by The Bradford Hayes Trio. Both the MTW conference and museum reception are free and open to the public. The lecture series was co-founded in 1981 by Dr. Clement Price, Board of Governors Distinguished Service Professor of History at Rutgers University, and the late Giles R. Wright, New Jersey Historical Commission. Over the past 33 years, the conference has drawn thousands of people to the Rutgers-Newark campus and has attracted some of the nation’s foremost scholars and humanists who are experts in the field of African and African American history and culture. It has become one of the nation’s leading scholarly programs specifically devoted to enhancing the historical literacy of an intercultural community. The annual conference was named for East Orange native Dr. Marion Thompson Wright, a pioneer in African American historiography and race relations in New Jersey, who was the first professionally trained woman historian in the United States. The Marion Thompson Wright Lecture Series is sponsored by the Rutgers Institute on Ethnicity, Culture, and the Modern Experience; the Federated Department of History, Rutgers-Newark and the New Jersey Institute of Technology; and the New Jersey Historical Commission/Department of State. The 2014 conference receives additional support from the New Jersey Council for the Humanities, the Rutgers Committee to Advance Our Common Purposes, and the Prudential Foundation. For additional information about the program, visit the Institute’s website at: http://ethnicity.rutgers.edu, or contact the Rutgers Institute on Ethnicity, Culture, and the Modern Experience, 973/353-3891. 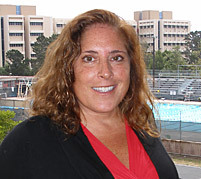 Dr. Wendy Chmielewski, a member of the Peace and Conflict Studies steering committee has been awarded a 2013 honorable mention award for the Carrie Chapman Catt Prize for Research on Women and Politics from Iowa State University for her ongoing project, Her Hat Was in the Ring: U.S. Women Elected to Political Office Before 1920. From all of us in the Peace and Conflict Studies program, congratulations Wendy! Carlos Castresana, Public Prosecutor of the Supreme Court of Spain, has dedicated most of his career to Criminal Law. As Prosecutor against organized crime, he confronted the most powerful transnational cartels dealing with drug trafficking and money laundering. Subsequently, as Anticorruption Prosecutor, he indicted high-ranking officers and businessmen including, notably, former Italian prime minister, Silvio Berlusconi. In his capacity as representative of the Spanish Union of Progressive Prosecutors, Castresana crafted and filed on behalf of the victims the lawsuits that resulted in the arrest of former Argentinian dictator, General Jorge Videla — who spent the rest of his life in prison– and Chilean dictator, General Augusto Pinochet — who was indicted and stripped of his immunity by the House of Lords. In 2007, at the request of the UN, Castresana was appointed Commissioner Against Impunity in Guatemala, a post with the rank of Assistant Secretary General. Guatemala is a conflict-ridden society pervaded by violence and a 98% impunity rate. During his tenure as Commissioner, Castresana oversaw the capture of more than 150 gangsters, drug traffickers, politicians, businessmen and high ranking civil and military officers, including former President Alfonso Portillo who was later extradited to the US; Castresana also intervened to prevent a likely coup d’etat by solving the murder of lawyer Rodrigo Rosenberg. CICIG brought to trial seven high impact cases achieving convictions in each, and forcing Castresana to resign and flee Guatemala. In recognition of his tireless work on behalf of victims of violence and the rule of law, Castresana has been awarded the Great Cross of Guatemala, The French Legion of Honor, The Star of Solidarity from Italy and the Medal of Civil Merit from Spain. This Semester, Carlos Castresana is a visiting Professor at Haverford College where he is teaching a course on International Criminal Law and co-teaching a course on Transitional Justice. Where are we coming from? From victor’s justice at Nuremberg to victim’s justice with Pinochet, or how to prosecute a criminal dictator without having previously defeated him, without governmental support, for the simple sake of justice. Where are we now? Guatemala and the CICIG (International Commission Against Impunity in Guatemala): touching the untouchables, showing that justice can be brought equally to all, even in the most unexpected of places. Democracy consists of free elections but also effective law enforcement. How do we resolve conflict with the tools of the rule of law instead of turning to violence? Where should we go from here? How do we work towards a world with more legal certainty and less political discretion? 1776 represents the birth of a nation, and also the foundation of the democratic culture of rule of law, where human rights constituted the core social contract. Since 9/11 the United States has been navigating unchartered waters; it needs to rectify previous wrongdoings and retrieve its compass. Moral leadership is a precondition of political leadership, especially if the US is to lead its allies in strengthening rather than undermining international justice mechanisms. Lisa Hajjar will address the significance of torture (and anti-torture) to understand historical developments in the relationship among law, state, and society. To illustrate, she will discuss the development of clandestine politics of American torture in the 20th century, and the ramifications of officially-sanctioned torture in the 21st century in the context of the “war on terror.” She will also highlight various forms of anti-torture work in the realms of law, media and popular culture. currently working on a book about anti-torture lawyering in the U.S. in post-9/11. Amid the difficult campus conversations at Swarthmore in Spring 2013, many students, alumni, faculty, and staff grew concerned about the ways in which community members were (and, in many ways, weren’t) engaging each other. Alumni and friends of the College expressed support, and a few offered to help in whatever ways they could. 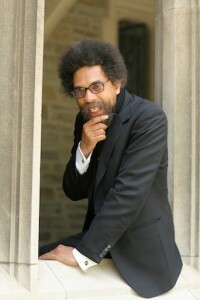 Princeton professor Robert George, Swarthmore Class of 1977, and fellow Princeton professor Cornel West talked about how they were teaching together and working with students to develop the skills of talking fruitfully across political, ideological, and other differences. Conversation ensued about the possibility of their discussing their experiences with our students, faculty, and staff. Professors George and West agreed to visit campus and help us think about what it means for intellectuals to learn from each other despite deep differences on important questions. Dr. George is a professor of jurisprudence at Princeton University and “this country’s most influential conservative Christian thinker,” according to The New York Times. His books include Making Men Moral: Civil Liberties and Public Morality, In Defense of Natural Law, and, most recently, Conscience and Its Enemies: Confronting the Dogmas of Liberal Secularism. 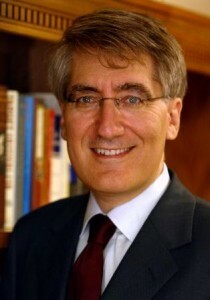 He is Chairman of the U.S. Commission on International Religious Freedom and previously served on the President’s Council on Bioethics and as a presidential appointee to the U.S. Commission on Civil Rights. He has been awarded the United States Presidential Citizens Medal, the Honorific Medal for the Defense of Human Rights of the Republic of Poland, and many honorary degrees. He is an accomplished bluegrass banjo player and finger style guitarist. Dr. West is a professor emeritus of African American studies at Princeton and is honorary chair of the Democratic Socialists of America. His books include The Ethical Dimensions of Marxist Thought, Race Matters, and Democracy Matters: Winning the Fight Against Imperialism. He has taught at Harvard and Yale, as well as Princeton, and is currently a professor at Union Theological Seminary in New York. He has appeared as “Councillor West” in two Matrix films and has done hip hop, soul, and spoken word recordings. He holds more than twenty honorary degrees and has received special recognition from the World Cultural Council. He is co-host with Tavis Smiley, of the radio show Smiley and West, and is co-founder of the Network of Spiritual Progressives. His autobiography is entitled Brother West: Living and Loving Out Loud. Together, Professors George and West have co-taught seminars at Princeton and have built a close friendship. Recently, when Professor George was sworn in at the Supreme Court as Chairman of the U.S. Commission on Religious Freedom, Professor West accompanied him to hold the bible-a bible that had been owned by the great abolitionist Harriet Tubman. Professor West quipped that this was the first time he had been to the Supreme Court to do something other than be arrested in a protest! Despite their serious political differences, the two scholars and activists share a passion for pursuing truth, living with integrity, and engaging in honest, thoughtful self-critical dialogue. Why are we here at a liberal arts college? What does it mean to be committed collectively to justice when we have different conceptions of justice? What is our role in a changing world? What should a Swarthmore education be? Job training? Education for citizenship? To be a learned person? What does it mean to communicate across differences regarding what is “right” or “wrong”? How do we talk about ethics and morality without resorting to calling others stupid or evil? How can we remain true to our own deep convictions while maintaining respect for, and civility toward, those who have reached sharply different conclusions? Can reasonable, well-intentioned people disagree fundamentally on ethical or moral issues? How do we maintain an intellectual milieu that welcomes dissent and is free from orthodoxies of opinion that stifle discussion and encourage conformity of thought?